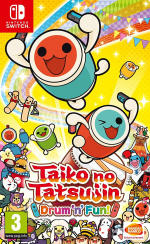 As exciting as it is to find out Bandai Namco will release Taiko no Tatsujin: Drum ‘n’ Fun! in the west this November, we're still admittedly coming to terms with the fact the Hori Taiko Drum Controller will not be made available locally. The only way of obtaining it now is to import it from websites like Play-Asia. Fortunately, there's an alternative control method if you don't want to import the special controller. 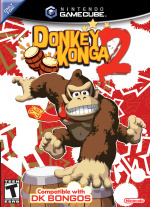 As suspected, the DK Bongos are compatible with the game - provided you have access to the GameCube Controller Adapter. If you don't have one of these, they'll be re-released alongside Super Smash Bros. Ultimate later this year. Of course, you'll also obviously need to own the DK Bongos. 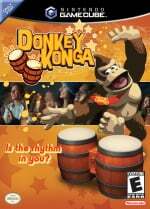 The bongos were originally released alongside Donkey Konga in 2003. The title was developed by the same team who worked on the Taiko: Drum Master series. Do you happen to own the DK Bongos? Would you use these as an alternative to the Hori Taiko Drum? Tell us in the comments. Way ahead of you. Just finished dusting off the good old melons. Nice, definitely will try this setup after a western release. Also curious if wiimote + wii taiko drum connected through 8bitdo / mayflash adapter will work too. Okay, now try Dance Dance Revolution dancing mat to play Taiko no Tatsujin. No! I sold my bongos a few years ago! I got 4 Bongos, but no controller adapter. Blah. What a coincidence! I was recently looking to hit up my local game store to pick a couple up on the cheap and test it out. Side note: Was that person in the video more focused on recording or did they lack a sense of rhythm? Because, BOY! @Eef This. The whole reason I want Taiko Drum Master on the Switch is because I played it on the PS2 with the Taiko Drum accessory. Well that is good news for me. I wasn’t too fond of thinking I’d have to pay $72 for a set of drums when I already have the bongos. Does it work with the blue dots for hitting the side of the drum? I have 3 sets of bongos. Two sets from my £10 copies of Jungle Beat. I will miss Toys “R” Us and their random game bargains. But I mean, I'm very very happy about this! Still got two sets of bongos, and I was getting the adapter anyway. 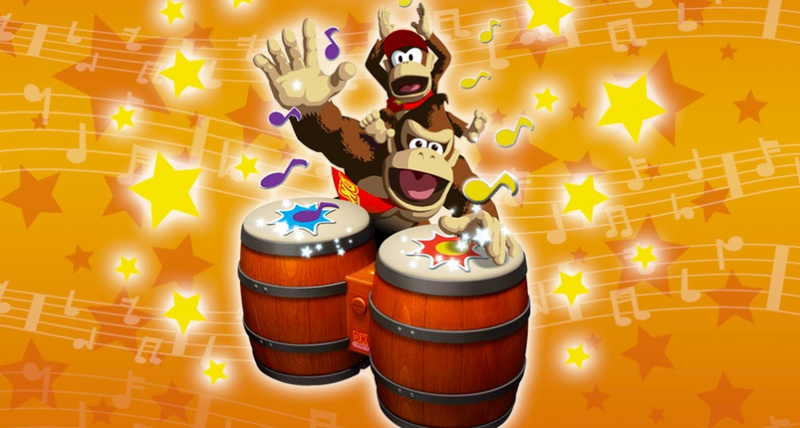 This might be the first time that Nintendo allows any partner to even mention the bongos oficially since 2006. Don't own the bongos, either, but I do have the controller adapter, and this is EXTREMELY tempting, as those are much cheaper to gain access to. Really didn't want to pay $90+ for a controller that has a lot of complaints associated with it anyhow. How does this work on notes that require double red or blue hits, though? EDIT: Just rewatched and noticed that single hits seem to activate those as well. @Ralizah Yeah a single hit will also be accepted as a double hit. @Heavyarms55 the bongos are seen a pro controller to the Switch and the 4 hit areas are just the A,B,X,Y buttons. Two buttons work as center (red) and the other as the side (blue). Depending which option you use you can have it a single drum for each or you can you can play single handed rocking between top and bottom of the drum. My long not used Bongo's still work although the softening agent in the top rubbers has apparently leaked a bit, they feel sticky. @oji I just tried it with the Mayflash Adapter with the newest update (v.1.21). Wiimotes work fine, but the drum controller isn't recognized sadly Don't know about 8bitdo, because I don't have it. Thanks for the response, maybe sometime later this will be added by a firmware update, I'm pretty sure that only a little effort needed to make it work by a button remapping or adding a device ID. What button setting did you use? I also found you couldn't navigate though the menus, so you would have to take the controller out each time, unless I'm mistaken. @RadioShadow yeah navigation is done with a separate controller. I just keep a Joycon out to traverse the menus. Downside is that at this moment I have not managed to get it working in 2 player using 2 bongos. 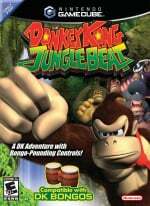 I got two DK bongos and interest in this game, I guess this is what will push me to buy a GCN adapter.